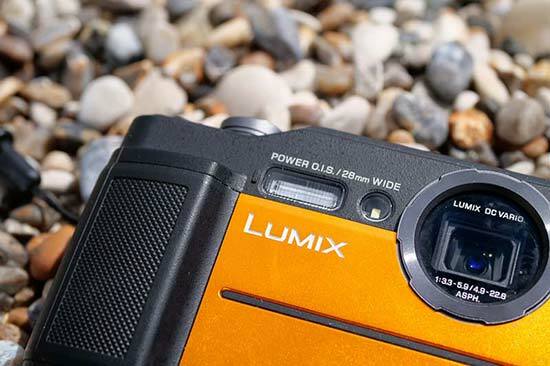 Panasonic’s latest compact camera, the Lumix FT7, is a new “rugged” camera. That is, it has a number of tough credentials, which make it ideal for shooting in a wide variety of different conditions. It is waterproof down to 31 metres (making it the class leading product), shockproof from a height of 2 metres, freeze proof down to -10 degrees and crush proof up to 100kg. It also has a 20.4 megapixel Live MOS sensor, plus a 4.6x optical zoom lens, with an equivalent focal length range of 28-128mm. Panasonic has added an electronic viewfinder to the FT7, in a difference from its predecessor, the FT5. This 0.2-inch, 1170k-dot device is there for such times when shooting in bright sunlight might prevent you from using the 3.0-inch, 1,040k-dot screen. 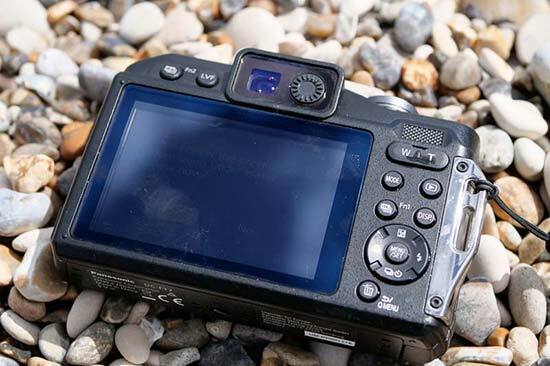 Other features of the Panasonic FT7 include wi-fi connectivity, 4K Video and 4K Photo modes, digital filters, geo-tagging (via your smart device), plus a raft of useful “adventure” type features such as a compass, altimeter and a torchlight function. We have been using a pre-production model of the Panasonic Lumix FT7, so some aspects of how the camera works may not be representative of the final finished model. The Panasonic FT7’s tough features make it feel robust and solid in use. It is light, but is reassuringly weighty enough to feel like the small camera is a solid piece of kit - and certainly strong enough to withstand a few knocks and scrapes. We’ve been using it underwater conditions - the buttons which you use to make all the changes to settings are set apart from the body of the camera, which make it reasonably easy to find them when you’re using them in tricky situations. There’s no touch-sensitive screen here - not really a shock considering the FT7 is designed for underwater use where touch sensitivity isn’t really an option. It might arguably have been nice to have touch control when using the camera out of the water, but the buttons do a good job none-the-less. On the top of the camera is a very large shutter release button. This might be unusual on a standard type camera, but when you need to find the shutter release when your hands are very cold, or you’re taking a photo underwater, it makes a lot more sense. 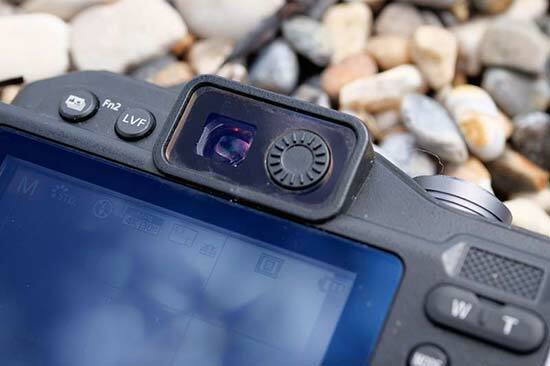 The majority of the buttons on the back of the Panasonic Lumix FT7 are grouped to the right hand side, which again makes it easier to operate the camera in slightly tricky conditions - or if you’re using it one-handed. The buttons are a little on the stiff side, but this might be something which gets a little looser with prolonged usage - but it’s a good indication of how well sealed the camera is. Buttons here include a mode button for choosing the different exposure modes on offer (there’s not a huge plethora of options here - but there are some scene modes, intelligent auto, program mode, manual mode, creative control and so on). There’s also a button for directly accessing Panasonic’s 4K Photo option, and another for changing the display option, or for playing back your images. The delete button doubles up as a quick menu button, which gives you access to the most commonly used settings you’re likely to want to change on a regular basis. To zoom the lens, you’ll need to use the rocker switch on the back of the camera, which is marked with a W (wide), and a T (tele). The tele button can be a little too easy to press when you’re tightly gripping the camera and placing your thumb on the thumb rest. 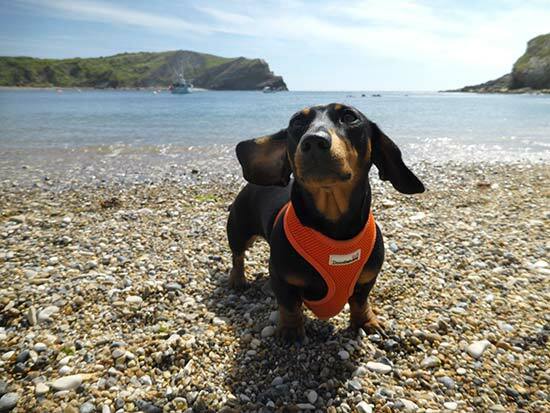 It’s not much of an issue when using the camera in ordinary settings - but if you’re doing something a little more “out there”, such as kayaking or open-water swimming, accidental zooming can occur on occasion. Another point about using the Panasonic Lumix FT7 when in typical “tough” conditions is that there’s no way to turn on an electronic level. Trying to frame your shot while you’re potentially doing something unsteady is tricky, so a feature like this would be very handy - and a shame not to see it when it’s found in other Lumix cameras. Charging the camera takes place via the port which is hidden behind a study door. To open the door you need to slide a lock switch first, and then slip open a door latch, which makes sure you don’t accidentally open it while in precarious conditions such as underwater or in the middle of a sandstorm and let foreign objects into the camera. Usefully, you can charge the camera via USB - this is great for camping and such like where you might not have a proper plug socket, but instead you can charge it using a battery pack. On occasion, the Panasonic FT7 struggled to focus quickly or accurately, even with a well-defined subject. It’s hard to say at this point whether that’s an issue with the camera being a pre-production sample, a result of tricky shooting conditions, or something that will also be present on the final version - we’ll let you know when the full samples become available. A new feature of the FT7 is the addition of an electronic viewfinder. It’s handy to have if the screen really is reflecting bright light and it’s hard to compose, but it’s not a finder you’ll likely want to use for all your shots - it’s a little on the small side, and you need to press a button to activate it. 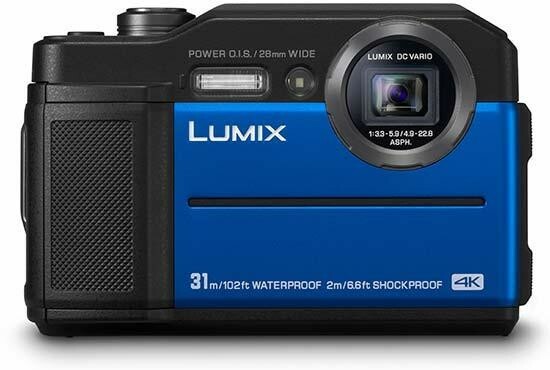 The Panasonic Lumix FT7 we’ve been using is a pre-production model, and therefore image quality may not be fully representative of the final version of the camera. Early impressions of the FT7’s image quality are good - colours are nice and vibrant, while detail on the whole is good. In low light, it’s not quite as impressive, but this is not really a camera designed for low light shooting - it’s more important to be tough for your “rugged” adventures. For the most part, your smartphone is more than adequate for taking shots in a variety of different conditions. However, there’s still a place for the compact camera when shooting in extreme conditions - such as deep underwater, in very cold conditions, or if you just happen to be a bit clumsy and feel you might drop your device. That’s where cameras like the Panasonic Lumix FT7 come in. On paper, the FT7 is probably the best model you can buy just about now - it has the best underwater credentials, a good range of other tough features and some other appealing specifications such as 4K Photo, inbuilt Wi-Fi and USB charging. 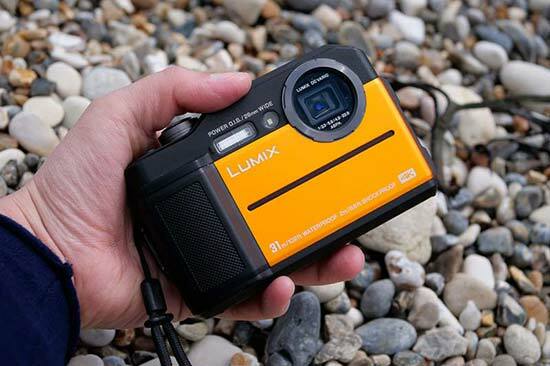 If you’re someone who likes to regularly escape on adventure-type breaks it could be the ideal purchase - and it may also be useful as the family camera for beach, camping and other trips where your phone might not cut it. Initial impressions are good, hopefully we’ll discover that the on-paper specs translate into a good performer when we have more time with a full production sample. We’ll bring you a full review of the Panasonic Lumix FT7 in due course - stay tuned!